See “LWV-Needham Through the Decades” for a detailed history. 1945—LWVN held its first Candidate’s Night. LWVN had 250 members. 1954—Published “Know Your Town,” and “Know Your Schools,” which continued for several decades. 1965—Held “Punch Parties” in each precinct to meet Town Meeting candidates. 1974— LWV voting membership open to men. 1982—Studied town finances and impact of the Proposition 2 1/2. 2010—Membership, which dipped below 100 in the 1990s, rose to 167. 2015—Celebrated LWVN 75th Anniversary with a High Tea at Town Hall. 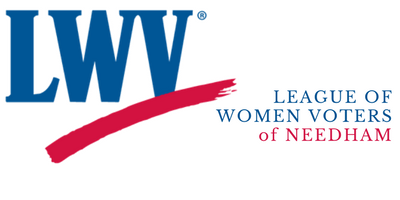 2016—LWV voting membership open to all people at least 16 years old.